Thanks for dropping by this Sweet Sunday! Join us! Join us! 🙂 You’ll be glad you did! My groovy Challenge & Inspiration teammates: Veronica Zalis, Vera Yates, Alice Wertz, Erin Lee Schreiner, Miriam Prantner, and Susan R. Opel! 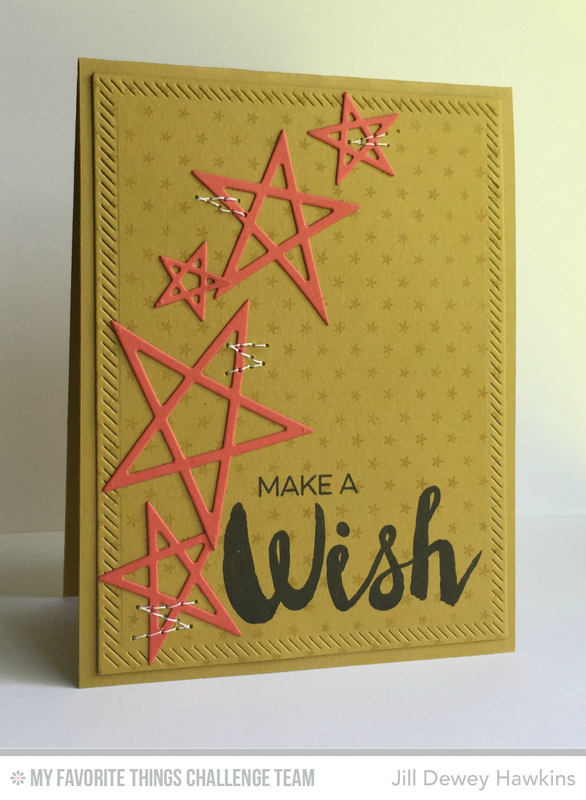 MFT Sketch Challenge #234 on My Favorite Things Challenge & Inspiration is ON today! I twisted the sketch a bit, die cut the background pattern, inked it, and tried to piece it all back in the same way. Tricky 😉 . My uberly skilled MFTC&I DT teammates: Veronica Zalis, Vera Yates, Alice Wertz, Erin Lee Schreiner, Miriam Prantner, and Susan R. Opel! Happy Sunday!! It’s time for the Sweet Sunday Sketch Challenge!! #274! Thanks for dropping in this Sunday! Join us! Today is the last day of Summer School on the MFT Blog! Awesome week of fun stuff. 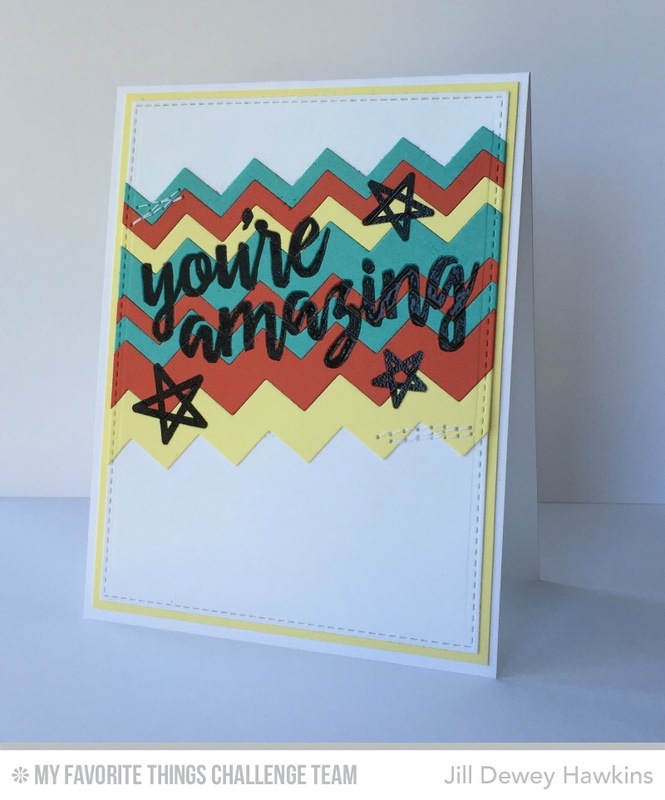 Don’t forget to check out the My Favorite Things Challenge & Inspiration blog for all the fun on the Sketch Challenge and the current Color Challenge!! 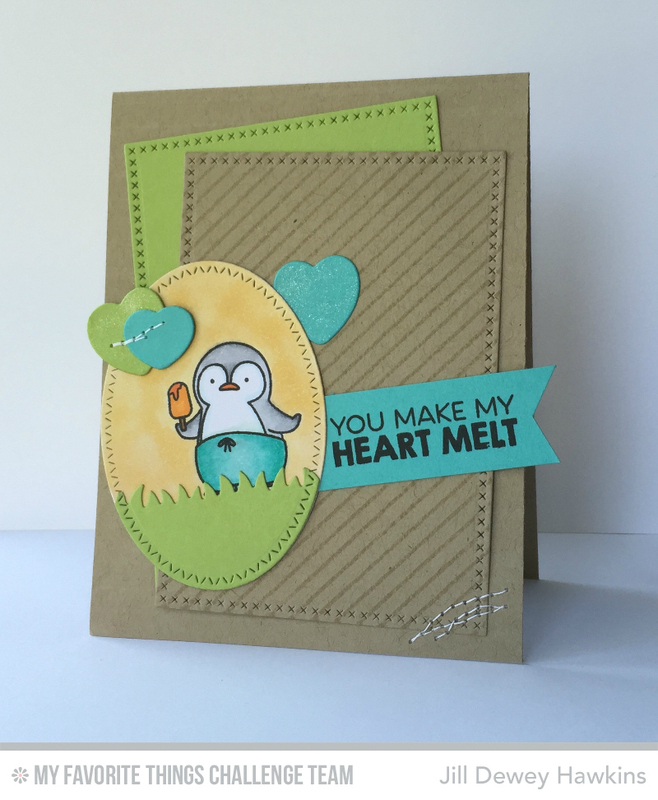 It’s a fun week on the MFT Blog! Lots to learn and enjoy! Today is the concept of: Line. Hop over the main MFT blog to read all the know how. 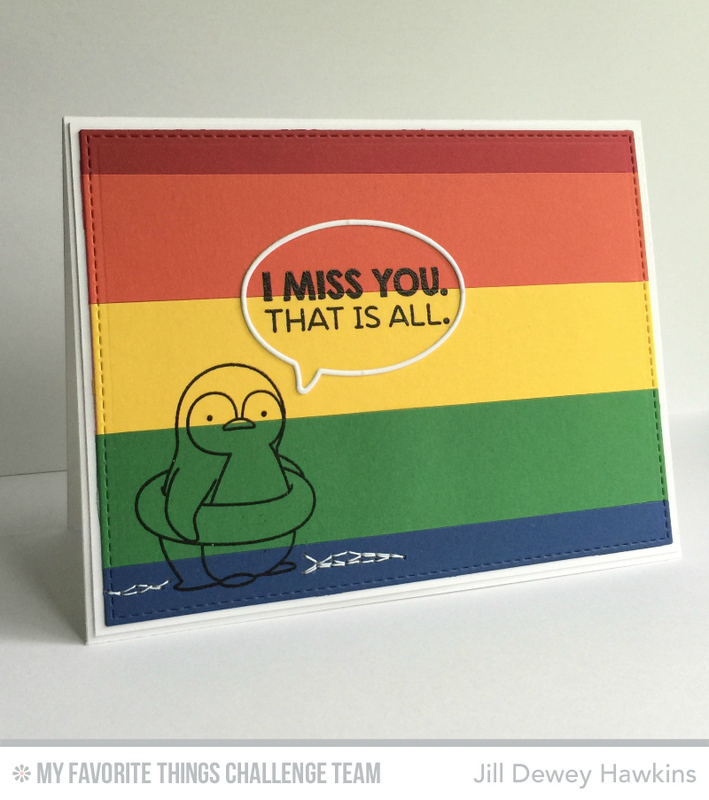 This card is so simple and effective, yes? I enjoy how it looked in the end. BONUS! 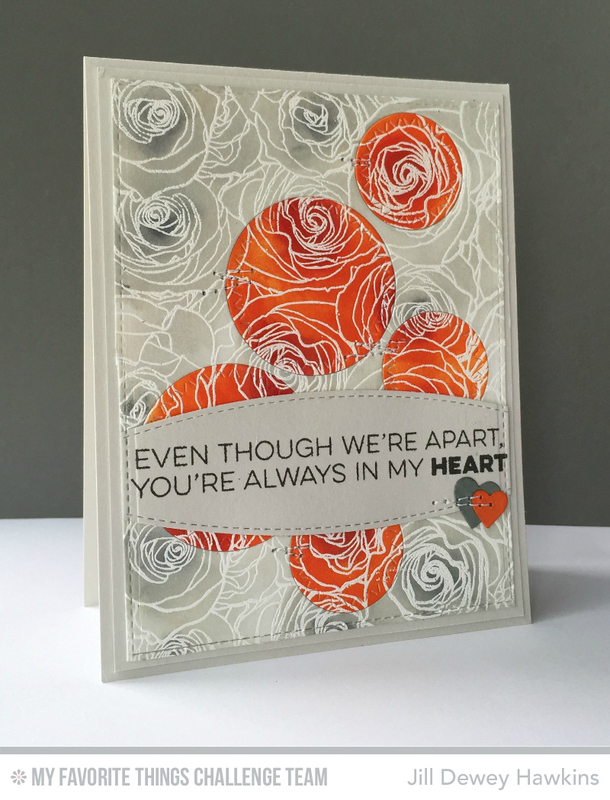 This card fits for the current Color Challenge at the MFT Challenge & Inspiration! Weeee!! 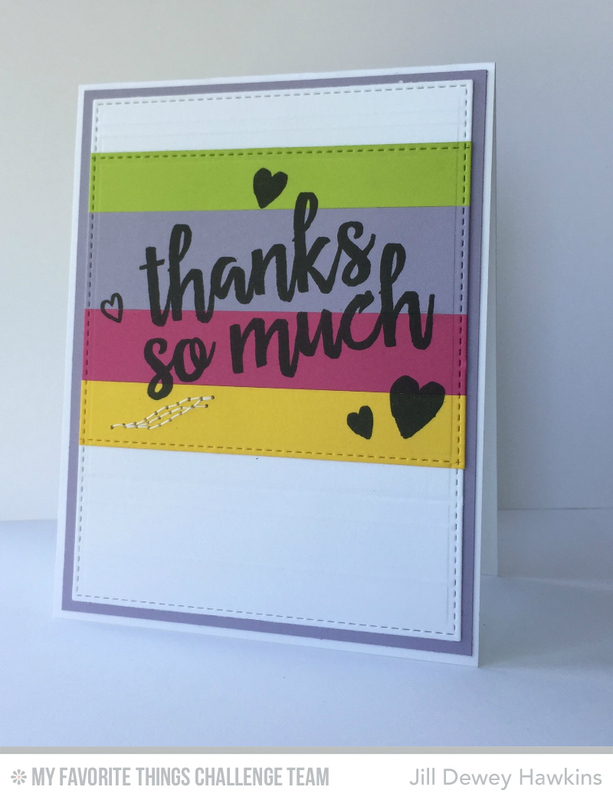 The My Favorite Things blog has oodles of greatness this week AND Prizes!! 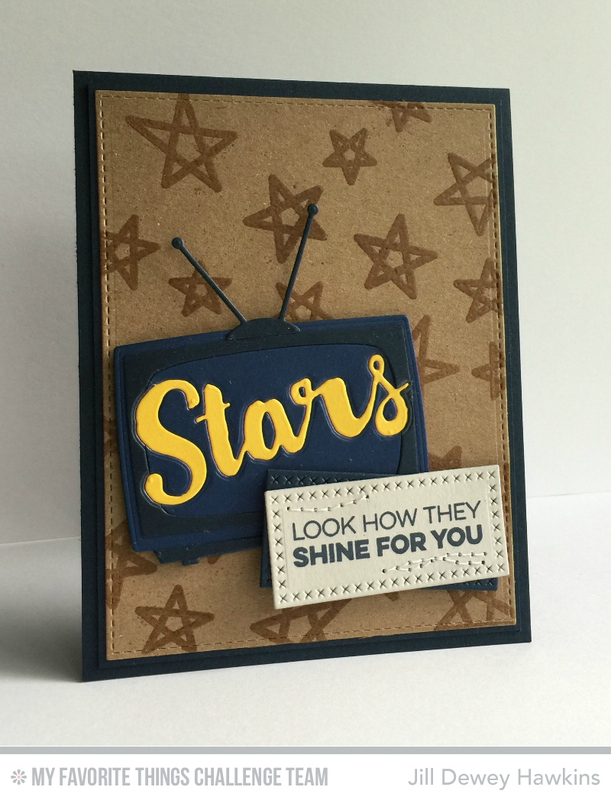 Sketch Challenge #233 on My Favorite Things Challenge & Inspiration starts today my friends! Have you checked out the MFT Blog this week!? There is a lot of goodness over there. Today’s concept is: Movement. Head over there to read all about it. My marvelous MFTC&I DT teammates: Veronica Zalis, Vera Yates, Alice Wertz, Erin Lee Schreiner, Miriam Prantner, and Susan R. Opel!